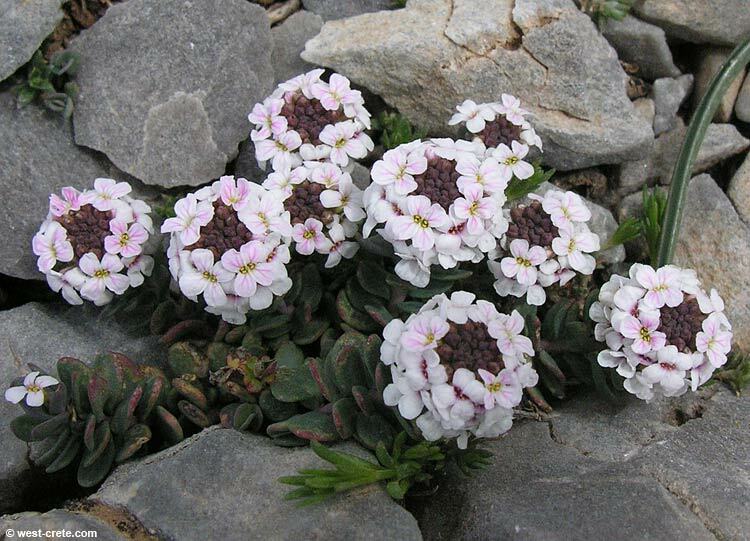 Aethionema saxatile is a dwarf rock plant which grows in the mountains, almost at any altitude. Apparently its common English name is Burnt Candytuft. The plant is really tiny (but perfectly formed), much smaller than the picture above.